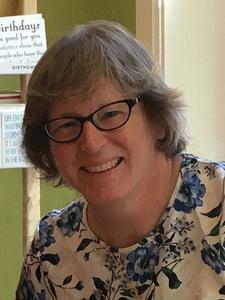 Diane K. Bremer, age 56 of Holland passed away November 21, 2018 at Holland Hospital after battling cancer. She was born in Denver, Colorado to Robert and Carolyn DeVault in 1962. A 1980 graduate of Iver C. Ranum High School in Westminster, CO, she furthered her education by graduating from Metropolitan State University of Denver in 1993. Diane had a passion for baking and loved watching her son play sports. She loved nothing more than being with her family. Diane spent her career working for First Michigan Bank, Zeeland Public Schools, and most recently Huntington Bank. Diane is survived by her loving husband Bill Bremer; son, John Bremer of Holland, MI; parents, Robert & Carolyn DeVault of Hutchinson, KS; brothers, Dan DeVault (Brenda Schott) of Greeley, CO, James (Candy) DeVault of Denver, CO; sister, Janet DeVault Kraatz (Michael Kraatz) of Blue Springs, MO; parents-in-law William and Linda Bremer of Holland, MI; sisters-in-law, Barb (Randy) Maffett OF Houston, TX, Katie (Brad) Doan of Caledonia, MI; nieces, Kayla DeVault Barber (Brandon Barber), Kelsey Kraatz, Tessa Maffett; nephews, Eric DeVault, Christopher Kraatz, Tanner Maffett, Ryan Doan, and Charlie Doan. A celebration of life will take place at 11:00am on Friday, November 30 at Christ Memorial Church – Chapel (Please use entrance D or E), 595 Graafschap Rd, Holland, with a one-hour visitation prior to the service. Rev. Leslie Bolt will officiate. In lieu of flowers, please consider a contribution to the American Cancer Society.